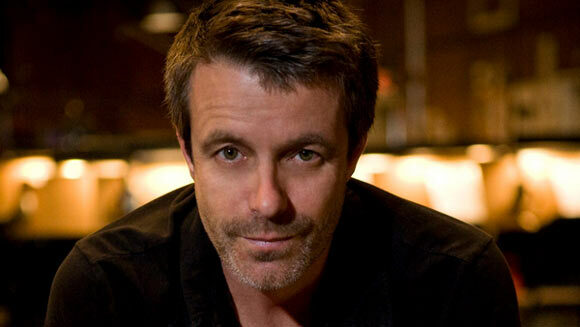 Harry Gregson-Williams was born on December 13, 1961 in England to a musical family. Music came natural to harry. In his childhood Harry’s parents and siblings used to play musical instruments around the house therefore Harry grew up learning all about music and naturally followed in his family’s footsteps later on. He started playing piano when he was only six years old but later showed some excellent vocal skills in singing which won him musical scholarship to St John’s College – a musical boarding school- at University of Cambridge. He daily dedicated several hours utterly to develop and enhance his skills in playing musical instruments but actually flourished as a chorister. As a choir member of the college he participated in numerous tours around Europe and did recordings in several musical sessions in TV and radio. At age of 12 Harry studied Latin and started composing music for the church. For the next few years he decided to devote his efforts in learning instrumental music only. Somewhere around 1980, after his graduation he started his early career as musical teacher at Amesbury School in Surry. He later offered his musical expertise back to his childhood school Gild hall school of Music and Drama and some other schools. Gregson-Williams traveled for a short period in Egypt and other African States as a musical mentor. In early 90s he started working as a film composer. His big breakthrough came when he started working under Oscar-winning film composer Hans Zimmer. Using his childhood choir skills Harry did a spectacular job in infusing distinctive harmonic taste to Zimmer’s compositions. He worked on soundtracks for numerous Zimmer-scored films like Crimson Tide (1995) , Two Deaths (1995) Muppet Treasure Island (1996) Crimson Tide (1995) As good as it Gets (1997) and Broken Arrows (1996). He then went on to work with guitarist and vocalist Trevor Rabin and John Powell. At this point Harry starting composing as lead vocalist in children’s films including The Tigger Movie (2000), Spy Game (2001), Sinbad: Legend of the Seven Seas (2003). As the success came Harry started composing and working for numerous motion pictures including Kingdom of Heaven, The Chronicles of Narnia: The Lion, the Witch and the Wardrobe, The Witch and the Wardrobe, Sinbad: Legend of the Seven Seas, The Rock, Shrek, Chicken Run, Antz, Spy Game, Man on Fire, Domino, and Team America: World Police and numerous other films. In addition to work on number of motion pictures Harry also did musical composition for some video games like Metal Gear Solid series and Call of Duty series. In 2004, in collaboration with a musical group called Hybrid, Harry produced a sound track called The Drop. Later in 2006 Gregson Williams teamed up with the band for composition of their new album I Choose Noise. Some of his most recent work includes the musical composition for The Town directed by Ben Affleck and Cow Boys and Aliens directed by Jon Favreau. Gregson Williams shines with prolonged list of Awards and Nominations. In 2005 he won Hollywood Film Award for the best Composer of the Year. Harry Gregson-Williams has won Broadcast Music Inc, Annie, Hollywood Film Festival and Satellite awards. He has also been nominated for an array of additional awards including Golden Globe and Grammy awards.